If late last month we featured an article which presented the new bits and pieces that could be found in Windows 7’s Media Center, it is now time to focus on the audio enhancements that this Windows-based operating system has to offer. 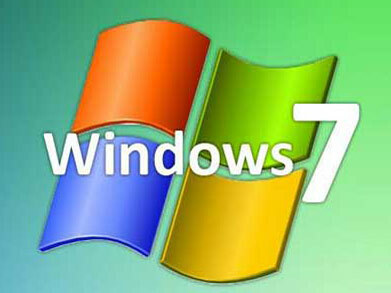 With Windows 7, Microsoft plans to take pretty much every feature you’ve come accustomed with in Windows Vista and put it on steroids. This “make it better, make it superior” philosophy is used in the case of the operating system’s audio subsystems as well. One of the first changes you will notice in Windows 7’s audio subsystems is the “improved device role detection”. According to Microsoft’s Principal SDE, Larry Osterman, this feature is employed with a simple role in mind: to provide multimedia applications with the knowledge of what audio device you chose to use. Other audio improvements that deserve mentioning are: stream switching, Bluetooth audio in-box, audio sampling auto-attenuation, and enhanced audio latency. Regarding the enhanced audio latency we mentioned above, Microsoft plans to achieve this by doing a little tweak work on the acoustic echoing cancellation algorithms. The auto-attenuation feature on the other hand will be resolved by means of focusing on just one audio sample at a time; the other audio samples will be left in the background with a reduced volume. Stream switching means that when the headphones are disconnected for some reason, the operating system will automatically redirect the audio stream to the speakers. Bluetooth audio in-box refers to the fact that Windows 7 features default drivers for the Bluetooth devices that you may connect to your machine, and you will since the Bluetooth market is on the rise (more and more people buy these devices and employ them on their Windows-based system). This feature was a long time coming to Windows – numerous PC users complained that their Bluetooth speakers and headphones are not natively supported by the operating system.